Radley x Sanderson's gorgeous new collection is available now! 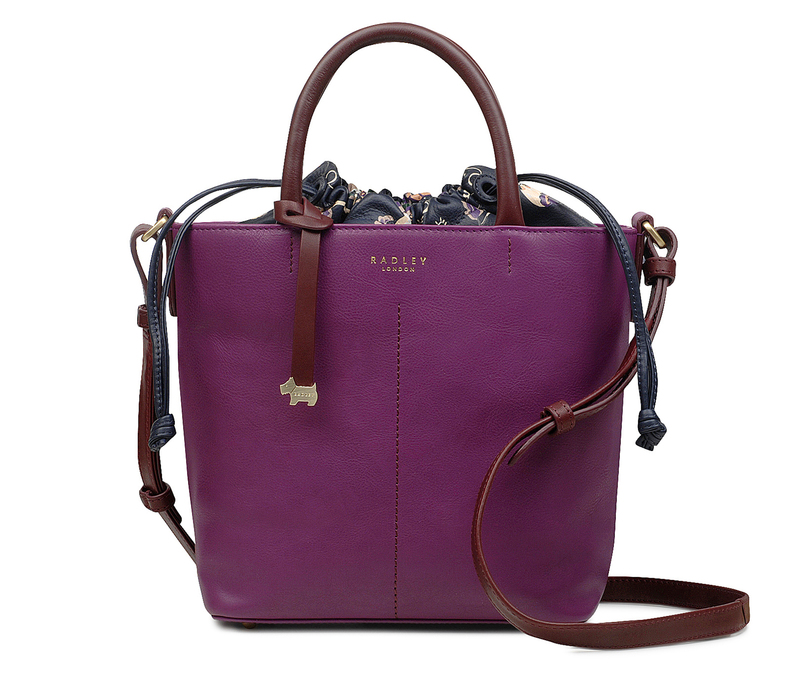 Radley teams up with Sanderson for gorgeous new collection – and it’s available now! Credit cards at the ready, as one of our favourite handbag brands, Radley, have just launched a brand new collection with popular soft-furnishing brand, Sanderson. 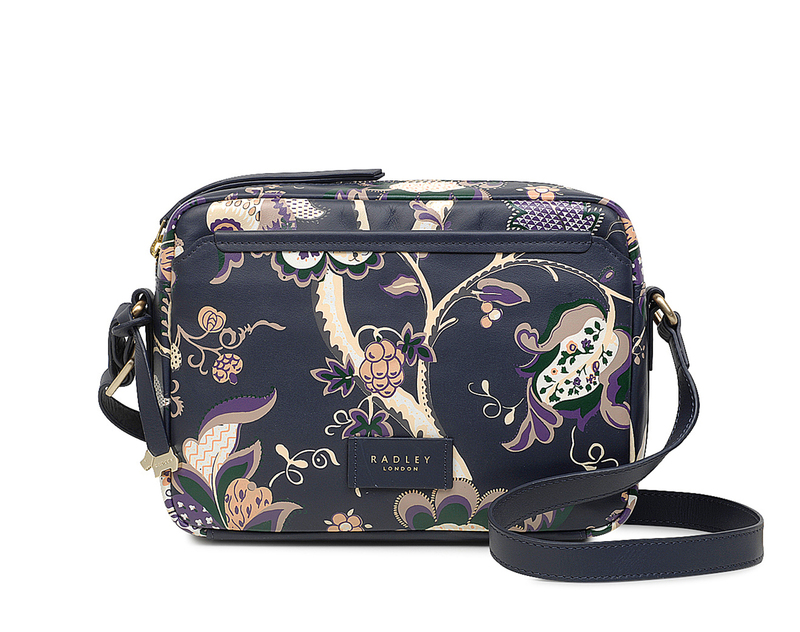 In order to celebrate their 20th anniversary, Radley London have paired up with the fellow British brand to create a range of handbags, purses, clutches and shoulder bags, in their gorgeous Roslyn print. 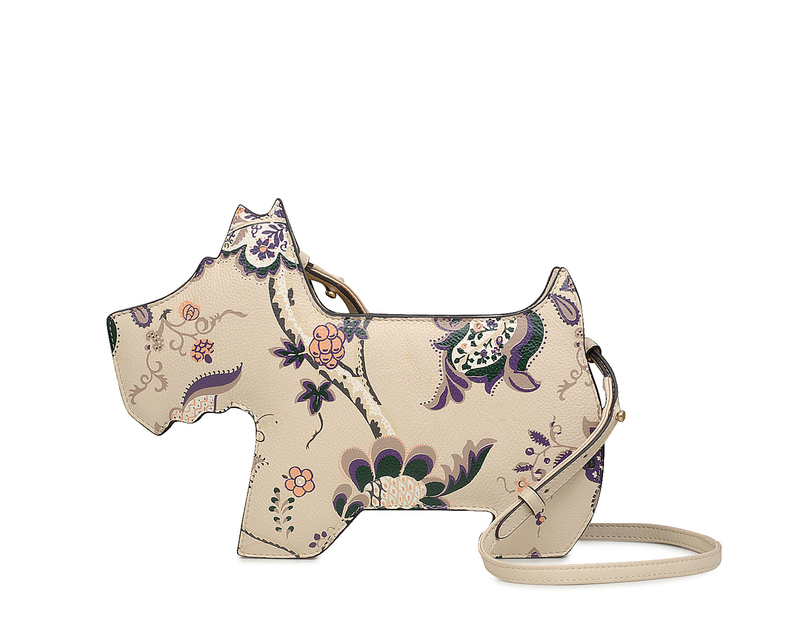 Radley have incorporated the print into many of their signature designs – such as their adorable Scottie dog handbag, a piece that the brand have become very well known for. And it looks as though this new range of luxurious leathers is going to slot perfectly into our autumnal wardrobes. Made up of classic brown and beige colours, with pops of deep purple and gentle, country cream, the bags easily cast up images of warm autumn days, full of crisp brown leaves and cosy warm interiors. 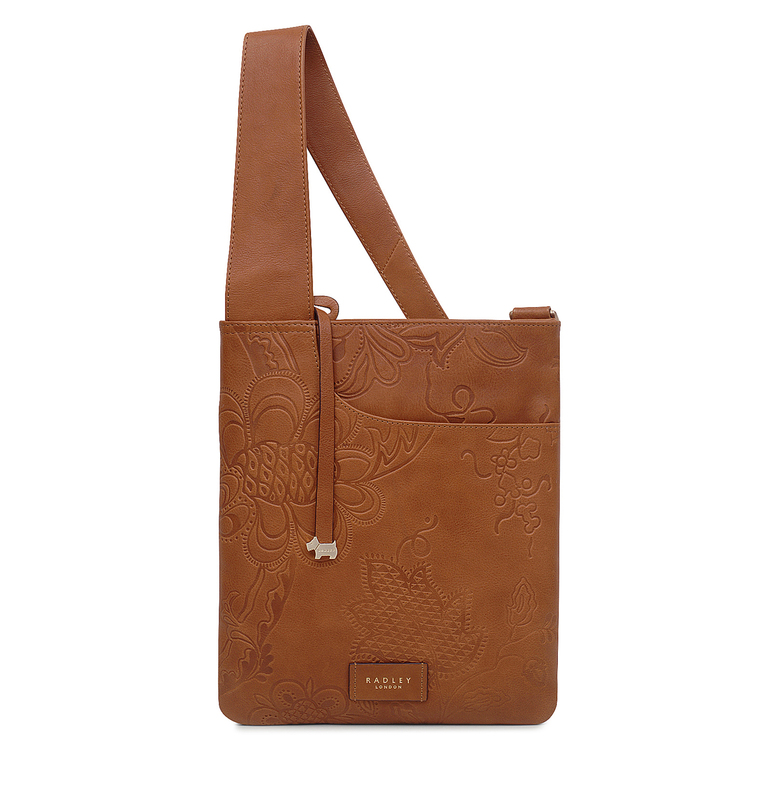 Also on offer in the new Radley x Sanderson collection are their popular and now-iconic cross-body pocket bags (which sells every 7 minutes) in a range of muted new colours. There are also a few gorgeous new handbags, perfect for everyday use. 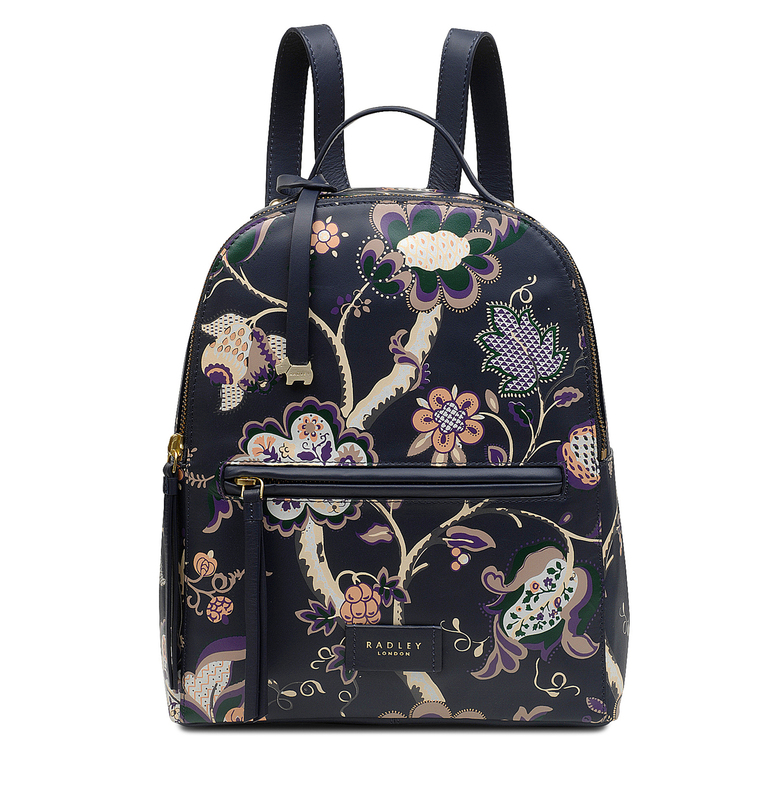 Or, treat yourself to a chic, drawstrong shoulder bag, or a beautiful backpack – embossed with a stunning floral pattern. 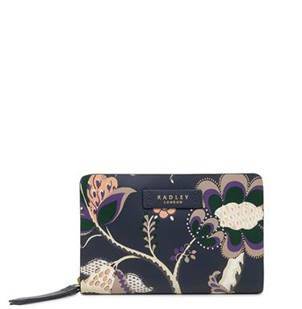 One of our favourites are the brand new purses, featuring the same floral design in a deep blue colour or a rich cream. Also available is a chic keyring and a handy tote bag for shopping. So when can you get your hands on the stunning new collection? 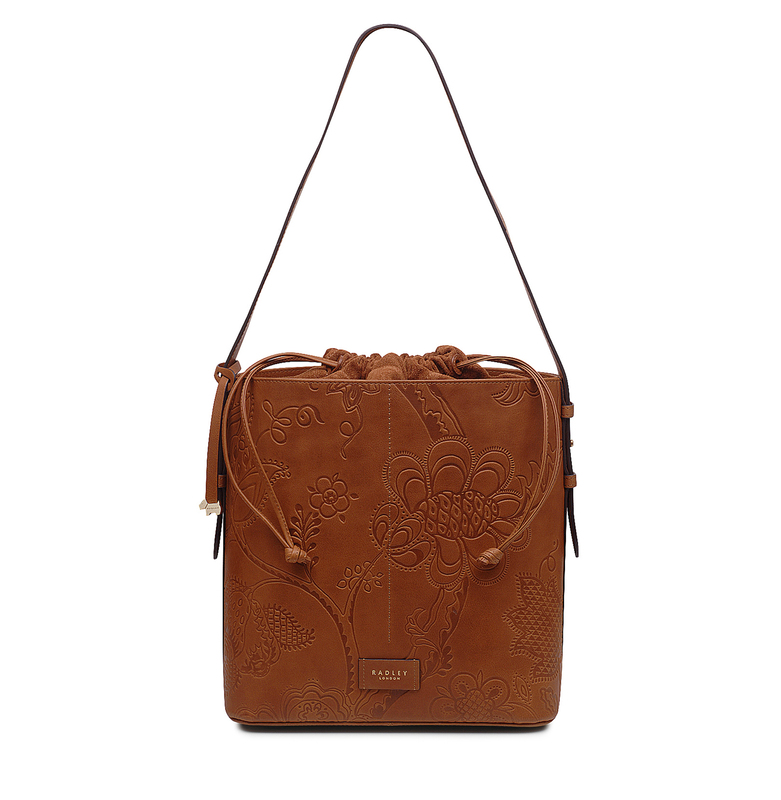 Radley x Sanderson is available to buy online NOW, to tie in with the arrival of autumn. Browse the range and get buying now! Prices range from £18 for the medium tote bag, to £259 for the large shoulder bag. We predict this will be a sell-out success!